2. Type in your user, position and email click “next” (Figure 2). 3. 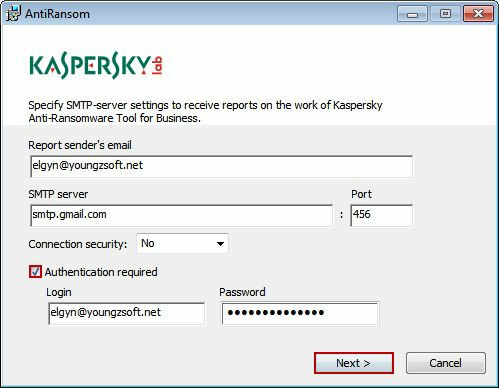 Type your report sender’s email, SMTP server and port, then Authentication required click “next” (Figure 3). 4. 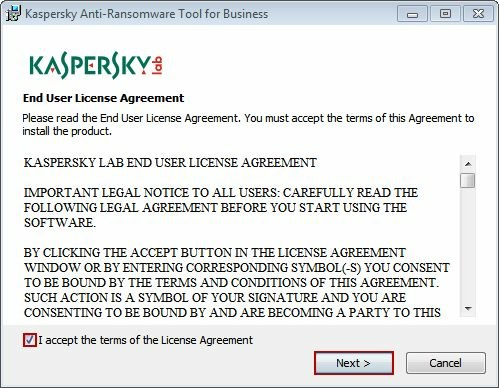 Wait until finish installing (Figure 4). 5. 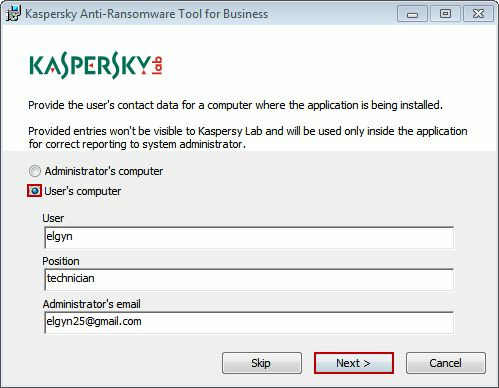 After successfuly install check “run kaspersky anti-ransomeware tool for buisiness” click finish (Figure 5). 6. 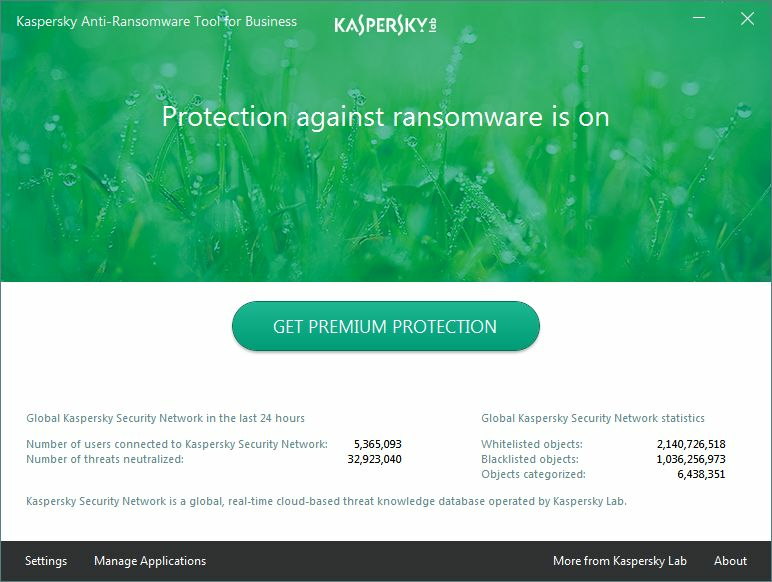 Your computer is now protected from attack of ransomware virus (Figure 6).